Ernest Neto is one of Brazil‘s pre-eminent artists. 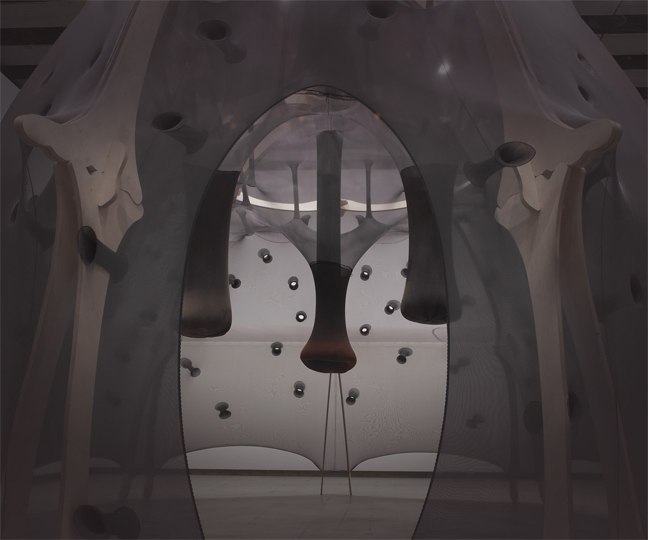 His inviting installations are immersive habitats that engulf us in a sensual world. He began exhibiting internationally in 1995 and, since then, he has shown his work in major museums and galleries around the world. 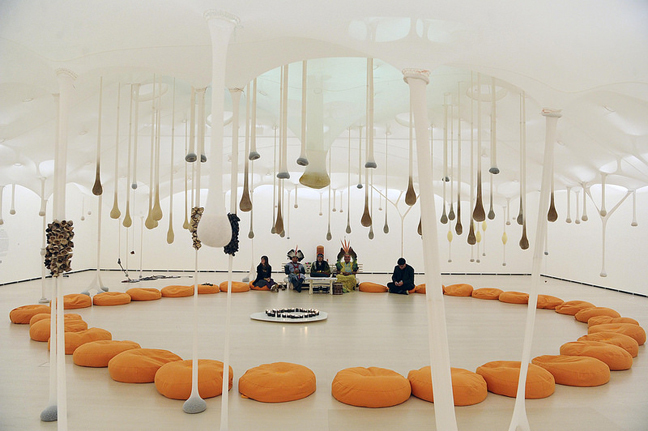 The works by Brazilian artist Ernesto Neto – he defines himself as a sculptor – were designed to be walked through, inhabited, felt, and even smelt, which enables the viewer to experience their own body, their senses, and their mind through the work of art. 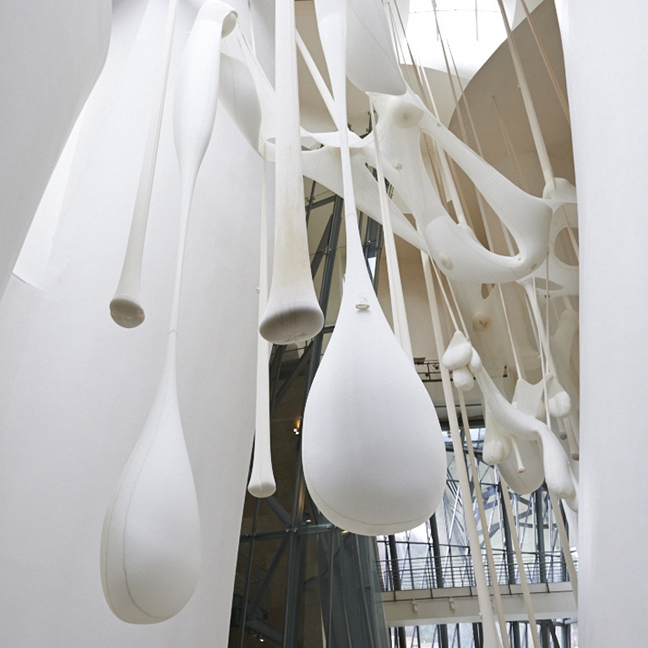 Visitors interact with each other, as well as with their surroundings, immersed in a sculpture-architecture fusion. Neto claims: “What we have in common is more important than what makes us different. I am interested in debating the plight of humanity, the temperature of the things we experience, the movement of things, language”. This show has been developed in close collaboration with the artist and it has been designed as a tour that enables visitors to learn about the essence of the artist’s oeuvre firsthand, an experience of scents, colors, emotions, languages, and sensorial events. For Neto, an exhibition is a place of poetry where visitors can escape from the daily grind: “We are constantly receiving information, but I want this to be a place where we stop thinking, where we take refuge in art. I think that not thinking is healthy; it’s like breathing life itself.” The journey begins in the Atrium, where a huge work hangs from the ceiling, and continues through the second floor. 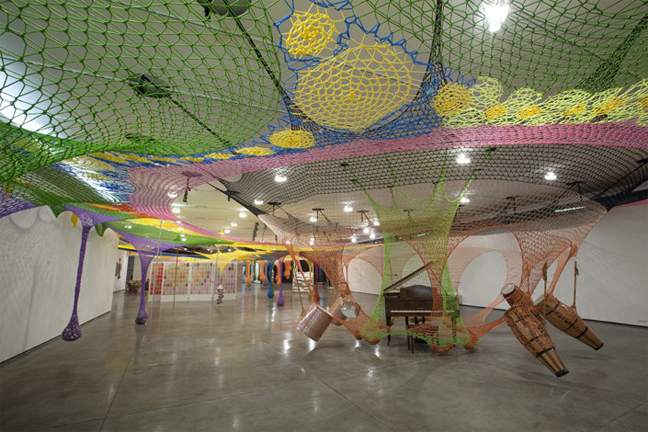 Each gallery offers a unique experience and requires a different pace to view or interact with the pieces.